Field Notes: We hope to include asparagus in the veggie box each week for about 4 more weeks. The braising mix is a combination of mustard greens, spinach, chard and kales. Steam, braise or add to soup – these small leaves cook quickly. We will have lettuce through the end of May. The rutabagas can be steamed, roasted, made into fries, or added to mash potatoes at a 1 to 4 ratio to add depth of flavor. The self-guided tour features over 7 different gardens and points of interest along the way. 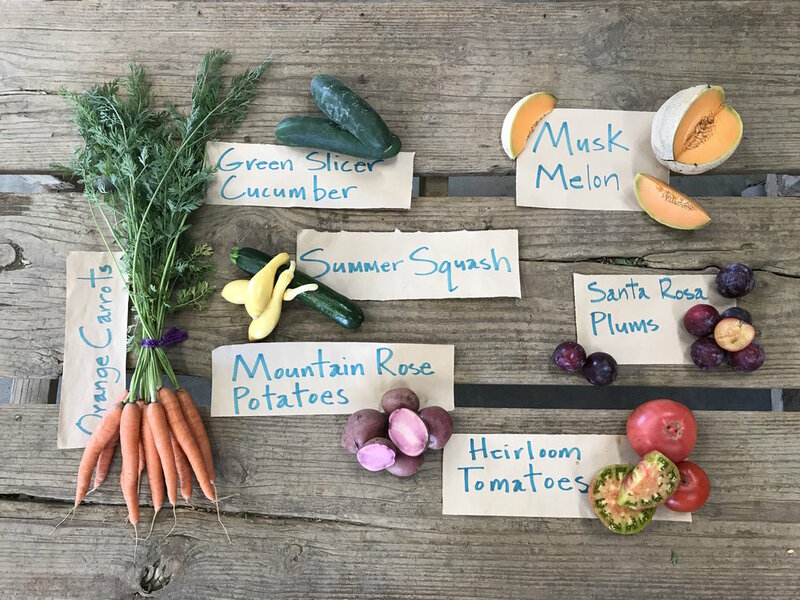 The valley is home to an array of gardeners and farmers — from a 2-acre homesteading garden to a 20-acre floral production field. Seven gardens will be on display sprinkled throughout the valley towns of Esparto, Capay, Brooks, Guinda and Rumsey. Along with the gardens, there are other points of interest, including the new Seka Hills Olive Mill and wine tasting rooms, the Capay Valley Vineyards tasting room and the historic Guinda Corner Store built in 1891. The garden tour costs $10 per person, children under 14 are free. You may bring your own picnic and spread out under a tree at one of the gardens, or buy a local lunch box, available for $10 each. All proceeds from the annual tour benefit community enhancement projects here in the valley. This year’s proceeds will support the renovation of the Western Yolo Grange Hall, a community-gathering place for over 75 years. Visit https://www.thecapayvalleygardentour.com/ to purchase tickets online or call 530-796-3464 for more information. Spring Hams: There are a few hams left to order for delivery to your CSA drop site or to the farmer’s markets in Berkeley on Tuesday, Thursday or Saturday and Sacramento Farmer’s Market on Sundays. The weight range is 3-7 lbs per ham. The price is $10 per lb. The Riverdog Farm hams are smoked and cured (pre-cooked) at Roundman’s in Ft. Bragg. They are delivered frozen to your CSA delivery site or to the one of the farmer’s markets in Berkeley. Glaze the top with orange marmalade, place in a casserole dish in 2-4 cups of orange juice and cover loosely with foil to hold in the moisture. Stick a few cloves in the ham before heating for added spice.